On October 12, 2000 theUSS Cole (DDG 67) an Arleigh Burke class destroyer was the target of a terrorist attack in the port of Aden, Yemen, during a scheduled refueling. 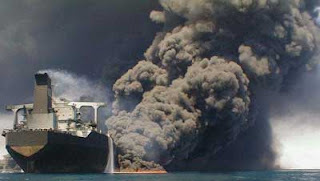 The attack killed 17 crew members and injured 39 others. 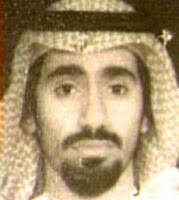 As the 10th Anniversary of the attack on the USS Cole approaches, the Obama administration continues to drag their feet to bring Abd al-Rahim al Nashiri to justice. They have broken solemn promises made to the survivors and crewmates of the USS Cole, and have disregarded US law. Explanations of the delay are clouded in a haze of no comments, a muttered muddled agenda towards Terrorism that has no rationale and the case has been placed on hold. We are left to ponder what was the reasoning, was it sympathy, appeasement, arrogance or total incompetancy. Under the leadership of President Obama, and his Justice Department led by Attorney General Eric Holder justice has suffered another black eye. They have once again shown this administrations continuing contempt and an intent to disregard their sworn duty by their unwillingess to confront the Act of War and murder commited by Abd al-Rahim al-Nashiri, and refusal to either set a date or bring Nashiri to trial before a Military Commission. Nashiri is a Saudi national al Qaeda operative (what a surprise) who masterminded the bombing attack using a high-explosive powerful enough to rip a large hole (as shown in the picture below) -- 40 feet by 60 feet flooding the main engine spaces of the Cole in the Yemeni port of Aden. A Guantanamo tribunal was ready to arraign him in 2009, but the Obama administration put the trial on hold, and since they took office, there has been delay after delay, and No trial -- No Justice. And nearly 10 years later just this last week the White House has inexplicably deep sixed the prosecution. A remembrance with pictures and the names and ranks of the brave young men and women who proudly served and died on the USS Cole in the attack that day are listed along with their pictures below. ..."The Obama administration has shelved the planned prosecution of Abd al-Rahim al-Nashiri, the alleged coordinator of the Oct. 2000 suicide attack on the USS Cole in Yemen, according to a court filing. Pretty unconscionable stuff, isn’t it? And a final decision on KSM has also been delayed, it is widely assumed, so that the administration need not disclose its intentions before the election. In an administration with plenty of both, this ranks near the top when it comes to hypocrisy and politicizing the administration of justice." Exactly! What is the problem Mr. President, why the delay? Mr. Obama met for more than an hour with about 40 relatives of terror victims during an emotional afternoon session in the Eisenhower Executive Office Building near the White House. He explained his rationale for ordering the detention center at Guantanamo Bay, Cuba, to be closed within a year, but pledged that the terror cases would be reviewed and handled through the courts." In a far cry from President Obama's promise, according to this link, I believe it will be a cold day in hades before this murderer is brought to trial and the families and crew recieve any justice from their government. http://content.usatoday.com/communities/ondeadline/post/2010/08/us-halts-prosecution-of-al-qaeda-suspect-in-uss-cole-attack/1 ..."The Justice Department said this week in a filing with the U.S. Court of Appeals for D.C. that "no charges are either pending or contemplated ... in the near future" against 45-year-old Abd al-Rahim al-Nashiri, who has been held at the Guantanamo Bay prison camp. He was captured in the United Arab Emirates in November 2002 and turned over to the CIA." This is beyond an outrage. Is this yet another example of the Obama's famous quote of "I will stand with the Muslims should the political winds shift in an ugly direction." What of the promises President Obama made to the families and friends and members of the Crew of the USS Cole who have patiently waited nearly 10 years with no sign of justice for the Act of War and murder. Or is it just yet another disgusting political manuever prior to the upcoming elections, as some have said in linked articles, a ploy to satisfy and appease the nut cases on the far left who insist that Guantanomo be closed or is it another example of Holder's and Obama's lunacy to force a trial of this murderous cretin in an American court. It is said that Al Nashiri was waterboarded and had a machine gun pointed at him by the CIA. Wow! How awful, poor baby! One can only draw the conclusion that is awful if you suffer from a serious case of moral equivalency, a syndrome this administration has shown that they are infected with again and again and again. Only appeasers and supporters of Islamofascism can support the delay of swift and deadly justice for this vermin. Al Nashiri should have had his day in court and been condemned to die by a firing squad long ago. Both President Obama and Eric Holder have once again shown contempt for this nation and have failed to uphold their sworn duties as President and Attorney General. When the USS Cole was repaired a blue tile floor was added to a passageway in the Cole. And 17 stars were laid, each to represent a sailor lost on another sad day of infamy for this Republic, October 12, 2000, in the attack by a small boat, acting as part of the docking tenders laden with explosives that blew a hole in the warship in the Yemeni port of Aden. There is a box containing debris that has been mounted on a bulkhead in the mess deck, debris from the attack on the World Trade Center from September 11, 2001, Al Queda terrorist attacks on America. The remnants, were presented by the Port Authority of New York, and are composed of metal, marble and glass from the destroyed World Trade Center. A most fitting tribute. The following is a list of links I used as research for this article.